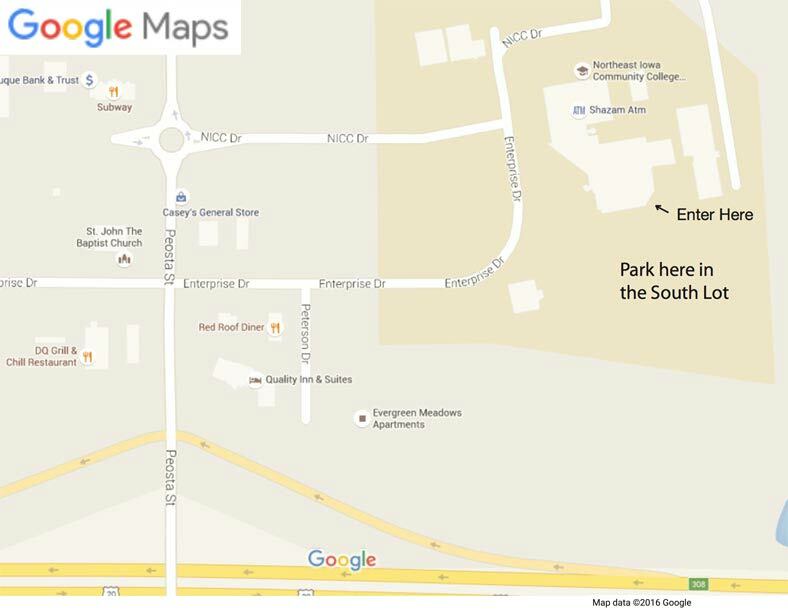 Park on the south side of NICC and follow the signs for registration. See maps & directions at the bottom of this page. 8:45 a.m. Pre-registration for organizational volunteers. 9:30 a.m. Caucus Call to Order. At approx..10:30 a.m. Biennial Organizational Meeting of Central Comm. Call to order. Download a copy of the 2017 BOMC booklet + amendments 1 March. All precincts except 18 & 19 have openings for committee persons. To look up what precinct you are in go to https://sos.iowa.gov/elections/VoterReg/PollingPlace/search.aspx. The information committee will start seating alternate central committee members @ 10:00 a.m. Any regular cc member must arrive prior to 10:00 a.m. to be guaranteed a ballot. *Precinct openings remaining after 10:00 a.m. will be filled by alternates from that precinct, in the order that they arrived that morning. Those who are nominated to fill openings at the caucus will be confirmed at the Biennial meeting & will be given ballots after confirmation. Only central committee members can vote for officers. 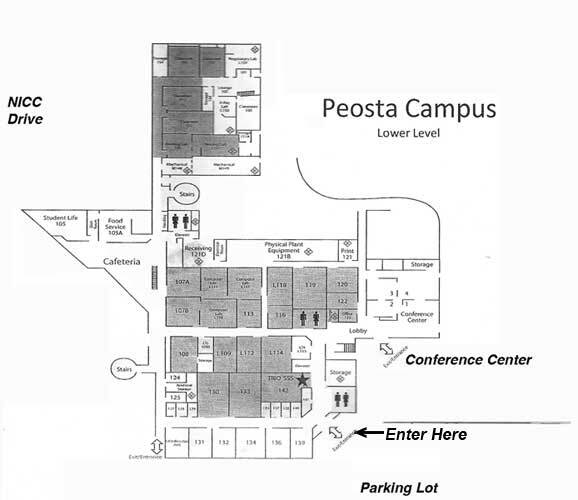 Take Highway 20 to Peosta. Take Exit 308 and go North (in the direction of Dairy Queen). At the roundabout take the first right turn onto NICC Drive. Take a left to enter the south parking lot.